She had health problems which were stress-induced (PTSD) physiological dysfunction and she struggled with this for 5 years. DigestaCure® – AUTOIMMUNE-X® is a concentrated extract of long-chain immune modulating components from a cultured 20th generation Aloe botanical (No genetic manipulation) which has been bred to produce modulating components in high quality and quantity. DigestaCure® – AUTOIMMUNE-X® contains long-chain immune modulators ranging from 1 million Dalton to over 10 million Dalton. Global Healing Center’s Oxy-Powder – colon cleanse product that uses the power of oxygen to gently cleanse and detoxify your entire digestive tract and relieve bloating, gas and occasional constipation. RegeneMax™ Liquid Advanced Collagen Generator – provides ch-OSA® (choline-stabilized orthosilicic acid), that helps naturally nourish your body’s beauty proteins. This helps with hair loss. Basics: (age, height, menopause? any medical details you feel are important- i.e. thyroid etc). I am 60 years young, 5’6”, weights 129lbs and I have been through menopause (or experience very few symptoms anymore). I have plenty to share on thyroid issue, stress, auto-immune dysfunction and WHY it’s very difficult to lose and keep weight off when one is out of balance. There is a product I want to be sure and mention, it’s called Digestacure Auto-ImmuneX… it is a totally safe, organic super-potent strain of aloe (powder in capsules) supplement that works to restore the immune system right down to the bone marrow (also, you can take it while using HCG). ALL of my symptoms disappeared using Digestacure as directed, and BTW, expert consultation to tailor dosage is available/included with purchase. Check it out here, http://drrondrucker.com. Dr. Drucker is awesome and check out the User Reports, the testimonials are for real! http://drrondrucker.com/user-reports Like one of the people in their testimonial, I too, once HAD Hashimoto’s Thyroiditis, my antibodies were over 800, and when I was tested 6 months ago, I had NONE. My Endocrinologist said once you have it, the antibodies never go away… well, he’s either wrong about that or I was misdiagnosed. In any case, you really can “flip the switch off” with the right supplement therapy when you strengthen the immune system. Most recent round – hCG Injections (Note from pamela: I had not used injections until this last round, and personally, I found them more effective overall, i.e.., true ketosis, testing with strips daily). Over this one-year period of 2010-2011, I melted away 35 lbs & 53 inches. In between rounds I was able to easily maintain, but each time found that I wanted to lose a bit more until I finally reached my rock bottom: 122 lbs. I knew this had happened because I suddenly became very hungry two weeks into the third half-round, but stayed on the diet just increasing the calories until I completed the 23 days. 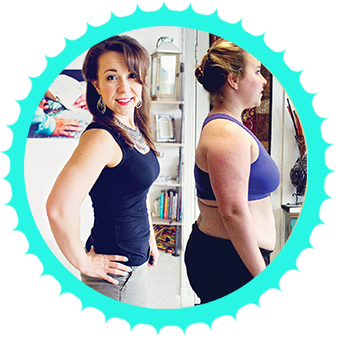 Eventually, my weight stabilized at 125 for over a year, and that was just perfect for me – until I started having health problems (hormone dysfunction – wherein I suddenly gained 20 lbs. in less than 2 months! (let’s chat about THAT). In June of 2010 I was wearing size 12 flight attendant uniforms and a year later after three half rounds and all those inches melted, a size 2!! Once I had health problems, it was like pulling teeth to lose weight!! We must discuss WHY… it was stress-induced (PTSD) physiological dysfunction and I struggled with this for the next 5 years, until this last full round of HCG injections. I was also forced to retire from my career prematurely (permanent disability from injury on duty), which was just personally devastating on so many levels. Long story short, so a multitude of factors set me up for all kinds of health problems. I’m now the same size I was in my 20’s and was always naturally thin until my mid 30’s. Over a period of the next 20 years, I just slowly gained until I topped out at 168 lbs; but it was so slow that I didn’t really notice until my mother died of morbid obesity in March 2010. It was a huge wake-up call to be told that she was over 500 lbs. at her death and couldn’t even be cremated normally, had to be transported somewhere to have this accomplished. I’ve done it all. Prescription drops under clinical guidance, HHCG (homeopathic spray), and HCG injections. During the second week of injections, I finally found my HCG dose at 130 and my last round was 50 days, and I melted away 22 lbs. and 38.5”. Phase 2 is always easy for me because I’m never hungry, and beforehand, I just get my head in the right space, have tons of self-discipline, and very motivated to be thin knowing how much better I feel. Pre-loading I already ate a LOT of fat, but just kicked it up a few notches with full-fat yogurt, butter, cheese… mostly clean loading, very little sweets really, but must admit to potato chips and whole milk (my “comfort” food). My MO has been a “starchy” salty carb-aholic; but fortunately, doing a round of HCG totally annihilates those cravings – IF you don’t go back to old habits afterwards! The important thing is, not to start back on the *white* starches and sugars (except in strict moderation *after* P3) then it’s easy to maintain. My Phase 2 diet is probably very boring to the average normal person, actually. But because I’m not hungry, it’s no big deal. I am mostly vegetarian, with 96/4 grass-fed Angus beef twice a week or so; I use a large cast iron skillet (cleaned with vinegar to eliminate any oil residue) 1 lb. of beef fully cooked with added taco spice seasoning (homemade, no sugar), and cooked in water; this will get me 4 meals, divided evenly. I will have this on a large bed of romaine lettuce. I also eat Wallaby nonfat Greek yogurt (3/4 cup) with a few ounces of fresh blueberries, nonfat Cottage Cheese (Trader Joe’s Organic brand has no additives and tastes best); OneWorldWhey.com protein shakes (sometimes I even did 3 shakes in one day (20 gm protein per shake) and STILL the scale went down the next day… amazing, super high-quality protein, the best I’ve found! I would also have the one whole egg/3 liquid whites twice a week or so; I used large (not Jumbo) sized eggs and Organic Valley Egg Whites; also, with the exception of fresh blueberries only the allowed fruits, and veggies, and even the plain “Classic” Melba Toast twice daily. I may have dropped weight faster if I cut out the fruit and melba, but then I’d have to eat more protein to get the calories and I do NOT enjoy eating chicken or fish, so very limited in that department. I also didn’t eat until 11:30 AM or later most days; sometimes I’d have a shake first thing in the morning, just whatever felt right that day; and I never ate anything after 7 pm at night. I look at my Bullmastiff doggie, CB, and think: “He gets the same diet everyday, so if he can do it, so can I”. Seriously, he inspires me, the way he just loves his two meals a day, even though they are always the same. Again, I don’t get hungry so P2 is really easy for me and cheating doesn’t even cross my mind. I do NOT obsess over the day I can finally “eat normal again”… I just look forward to the FAT I can start eating on P3! 1 capsule Bio-True Selenium daily; aside from the Digestacure, these were the supplements I continued taking. Prior to using injections, I had some hair loss using HHCG (homeopathic) nearly every round unless I supplemented with algae and/or RegeneMax Collagen Regenerator (liquid preparation, only sold through natural health practitioners – amazing stuff, BTW!) However, using the green powder once per day in a vanilla or strawberry protein shake, no hair loss; in fact just the opposite, my hair is now super-thick and grows faster since adding these food supplements to my daily diet about 6 months ago. Adding too many calories too quickly of even the right foods will make me gain, especially in the first week of P3. Adding new foods slowly in small amounts is the key; the first week I still stay strict to the P2 diet, just upping my calories, whole eggs with butter, half n’ half in my coffee, full fat dressing on salads, that sort of thing. After that, slowly adding some mozzarella string cheese, pepper jack, sunflower seeds (added to my yogurt with blueberries), almonds (sea salted, roasted or raw, small handful), homemade marinara sauce with fresh Parmesan on zucchini noodles (1 large zucchini skillet seared with butter and olive oil) – basically, healthy, clean foods! A real “treat” is dried, raw coconut flakes (I like the “Let’s Do Organic” brand and it’s great fiber. I can also indulge in a 6-8 oz. glass of wine WITH my main meal or with cheese. My rule of thumb: no wine without a *protein* food… it’s absorbed a lot slower and won’t cost me a blood sugar spike – I feel this is what triggers the body to retain water when too many carbs are consumed (flood the bloodstream) too quickly. Rayzel’s note: If you want something structured to follow in Phase 3, my P3 to Life Structured Phase 3 program is now available- you can learn about that at P3tolife.com. Pretty much what I’ve already described, always opting for the *fat*, and NOT the non-fat versions as those foods are processed and have more sugar/carbs. I may have an occasional baked potato (maybe, not sure I want to go there yet, LOL) down the road. I would LOVE to have Mexican food: refried beans, rice, and white corn tortilla chips, but starting down that road is potentially hazardous (especially the chips – they really are a very BAD concentrated carb for me to get started with again). The beans and rice are fine in moderation with veggies and cheese though, but only occasionally. I love pizza, but don’t eat white flour; instead I make my own pizza. Bake at 425 degrees for 12 min. One 8” pizza “crust” is 24g carbs, but because the whole grains are *sprouted* they are digested slower than ground *flour* tortillas. One pizza is very filling and satisfying; this would be my main mid-day meal. Another rule of thumb is: Stay under 100 carbs per day! The Calorie King’s 2017 version reference book: “Calorie, FAT & Carbohydrate Counter” is easy to use/read and also lists pretty much all popular restaurant foods. I found this guide indispensable on ALL phases of the diet protocol. Yes, my blood sugars are now stable between 90-105. Before, they fluctuated way too much into nearly the pre-diabetic range. In fact, my Endocrinologist told me flat out right before beginning this last round: “If you gain more than another 5 lbs., you will be pre-diabetic, guaranteed”. At the time, I was 151 lbs., but the thing is, diabetes is a horrific killer in my family on my dad’s side: all 8 siblings have various stages of diabetes; (one of them lost both legs and an eye, then died from it). And, my mom, of course, had it too. Avoiding diabetes by eating healthy is now my main motivation in keeping the weight off, NOT just feeling comfortable in my size 2’s! I don’t really think about treats the same way a lot of people do. I look at added refined sugar more like *poison*. I do love cake, but won’t indulge in just any kind – especially true for refined junk food sweets that look temptingly pretty, but are actually the worst. For instance, if I know the ingredients are high-quality, organic (like something I’d make myself) then I’ll just have 1/2 a cupcake, instead of a whole one all in one sitting. A little trick is to freeze treats like this and then just slice off a piece now and then. I know that sounds CRAZY to people who absolutely love sweets (like my hubby), but it works for me. Liquid Stevia (organic Trader Joe’s is best taste and price) is something I *always* have in my purse for iced tea when going out (my hubby LOVES this stuff) – but I also use it to sweeten plain yogurt. However, the very best natural sweet treat I’ve found: “Carmel Pecan Turtles” made with 1/2 Medjool Date and 1/2 of a whole pecan pressed together and kept in the freezer. These are ambrosia – they will not totally freeze, so it’s more like having a chewy “carmel”! While ON the Protocol, weighing and recording/charting progress is important. Weighing is something I didn’t do for YEARS before HCG; and look what happened, the weight slowly crept on until I topped-out at 168 lbs! However, I do NOT weigh daily *after* P3, but only once-weekly; being obsessive about this ongoing is not healthy for me as it creates unnecessary stress. Getting in the right “head space” mentally before one begins is really key! It’s a total commitment, and that afterwards, it’s the small lifestyle changes that make all the difference. That you must want to be HEALTHY, first and foremost, not just thin. I am not sure what company to buy from. I am a RN, and very cautious about any online medication purchases.. Can someone help or guide to the safest, pharmacy on line ? I am currently on HCG diet, form local wt. loss center, but after having several bad experiences, i have decidedd to purchase my own, and do it solo! Also, looking to purchasing pill/troches for my daughter to help her on her wt. loss journey. .
Nu Image vs USHCG vs Diet Doc? I’m so sorry for the long delay- you probably already made a decision about this now that it’s been a couple weeks, but for future reference, I highly recommend both Nu Image Medical and Diet Doc. They both use compounding pharmacies in the U.S. and have a reliable business- they’ve each been in business for close to over 10 years now. I”m sorry you had some bad experiences! Regardless of who you order from, I personally always recommend doing your own research and making decisions based on this anyway, because I have not found any clinic that can truly help you do this protocol the exact right way for you, no matter how great their hCG is or what not. I just feel it really is something you kind of have to take into your own hands, which it sounds like you’ve already figured out! Hope that helps. This was such a helpful interview! And the collagen I felt ” this is what I’m missing ” so I ordered the autoimmune x and I looked up the collagen by xymogen and ordered that as well , was happy to see xymogen , I have an account with them through my Doc . Thank you so much Rayzel and Pamala I feel I got a lot of gems of info to help my health and journey! So I take a compound cream of Estradiol/testosterone 2/5/ml cream in the morning and that night I take progesterone sr 100mg . Should I not take that when I’m doing the hCG diet ? I wouldn’t suggest stopping any of your medications. Rayzel doesn’t know a LOT about it, but pretty much from the feedback she’d gotten so far, most women on hormone replacement find that they still lose on hCG but often it’s just a slower pace. A few sometimes really struggle with losing at all, but it’s by far the minority. For most it’s just a slightly slower pace, which is doable because you will still get the results you want- just needing an extra week or two. I may have missed it but how does she make the shake she spoke about? The shakes she mentioned is included in her p3tolife maintenance program. Hi! Great job! I love this one because although I have not hit menopause yet, I will be 50 later this year. I have done 2.5 rounds of HCG tabs. In February I dropped 21 pounds. Maintained in March but wasn’t clear on P2 protocol and was traveling an gained 4 pounds (some was my period). Began HCG round in April. Lost 10 pounds in 12 days and even stayed true on Easter Sunday, my favorite splurge day! But on April 22nd I went on a business trip and called my mom from the gate because I’d left my supplement behind. She said just go on maintenance because it was a Saturday and it would take a few days to get it to me in Chicago. So I did my best, again, not fully understanding P2. When I returned, it had only been two weeks and my doctor said I could go back on another round with my family reunion coming up June 224th. This was just before Mother’s Day. I’d barely been on “maintenance” and found it difficult to gorge. My problem also is that I don’t get hungry. Single mom and business owner in a changing health insurance industry and cortisol is my nemesis. I can go all day and at 3 p. m. realize I have not eaten all day. So HCG is pretty easy for me. I am very disciplined when I know what to do. But this “third” round has been weak. The first week I excrcised too much and stayed the same. The following week I lost three pounds. The week after that, two pounds and the fourth week only 1 pound. My doctor tried increasing my HCG level the second week (3-pound loss) and then took me off it. I wake up early and she said to eat soon after I wake and stop eating at 4 or 5 p. m. I think with the short maintenance period, change in HCG amount, then going off it and traveling, my body was confused. I am on maintenance now for six weeks and am worried about keeping the weight off. I understand I could also continue losing with mainly meat and veggies. But I need a plan. I am super busy and I didn’t eat for so long and don’t think I eat enough calories. I use myfitnesspal app to track calories. Right now I am 166.00 (on period). Weight 198 when I started January 20, 2017. Goal weight is 145. I am 5″5″” tall. Any comments/suggestions are most welcome.